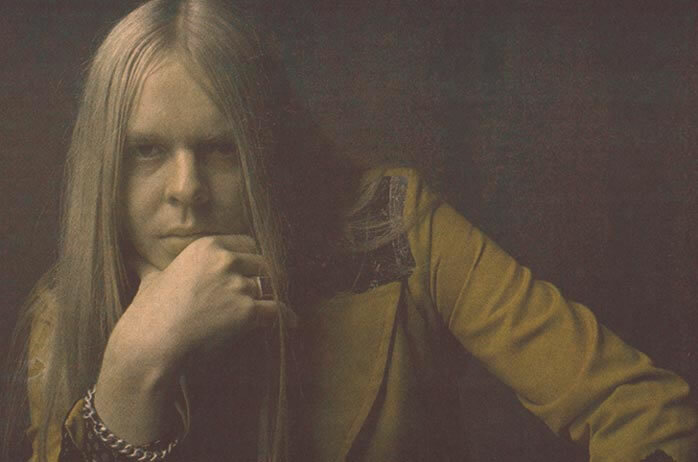 Never one to do things like the others, what follows is not just another pseudo-biographical/fan page dedicated to another rock-star, band or whatever. It's pseudo-auto-biographical account about someone who was a source of inspiration to 1) a high school student not really interested in studies, 2) someone who was going through a difficult period at the time. 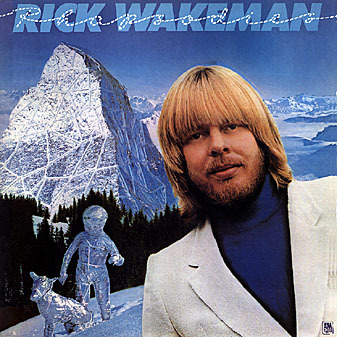 I've been a big fan of Rick Wakeman's since hearing his "The Six Wives of Henry VIII" album, buying most of his earlier 70's and 80's work and he was, along with John Lennon and George Harrison, one of my teenage musical heroes and actually, still is. 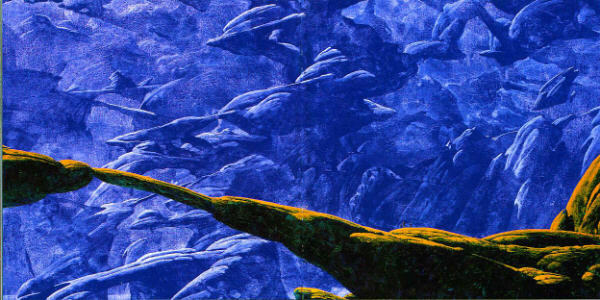 I found his music excellent and when playing with Yes his keyboard wizardry often complemented Yes's more serious style with refreshing solos and inspired magical touches weaving their way through Yes' works. 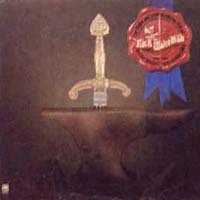 Wakeman's musical style seemed to sum him up as a person and his public lifestyle appeared to be so radically different to that of the other Yes band members, who I tended to find a bit too serious. I even cut out and kept an article from the rock magazine Rolling Stone (I still have it in fact) describing his lifestyle and many antics stemming from an outrageous sense of humour. 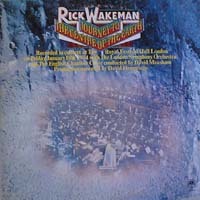 I remember the article explaining about Wakeman's sense of humour and writing about how one day in an airplane flying somewhere when, asked not to shout so loud, Wakeman promptly turned around and ran down the aisle shouting even louder: " I seem to have lost my book on how shout quietly!"... You can't do that today, not even when you a rock star. It was a shame that his "intensive" life style lead him to an early heart attack, in fact, several while still in his 20s, and made him change his ways, bringing the curtain down on a period. 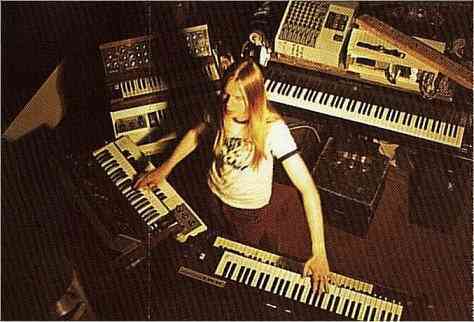 At least he came out of it OK so that, excuse the egoism, at least one of my teenage heroes came through relatively unscathed and, honestly, anyone who plays Bach on a church organ as he does in his "Six Wives" album. Finished the days when he ordered "take away" curry meals to be delivered on stage during a concert and finished the days of intensive and turbulent partying. There is however, one fact worth noting. 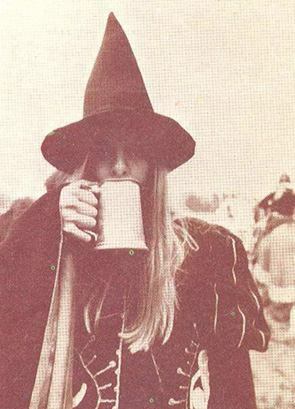 According to the legend, Wakeman never took drugs, referring to himself as been more of a "beer-and-chips-guy". 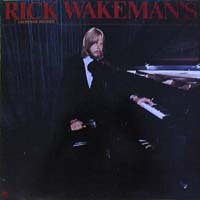 Talking of turbulence, Wakeman's relationship with Yes was a succession of "Ins" and "Outs". 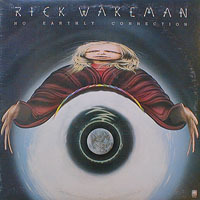 Wakeman first joined yes in 1971 for the group's 04th album "Fragile" and left, for the 01st time, in 1973 after "Tales from a Topographic Ocean" following a difference of opinion about the choice of material for the album. 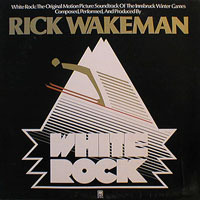 He returned in 1977 for "Going for the One" only to leave a 02nd time in 1979 after "Tormato" and what could be summarized as a difference of opinion concerning the artwork of the album, Wakeman considering the artwork a rip off threw a tomato at the reproduction of the album cover for it to stay, for posterity! 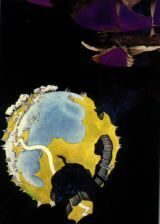 Yes totally split up in 1981 but reformed again in 1983, without Wakeman but with Tony Kaye the band's original Keyboard player (1968-1971).Wakeman joined the band again in 1990 to leave in 1992 (Tony Kaye in again). 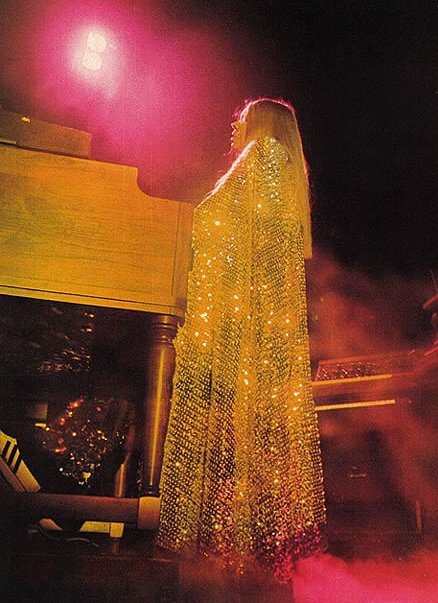 1974: "Journey to the Centre of the Earth"
1975: "The Myths and Legends of King Arthur and The Knights of the Round Table"
1977: "Rick Wakeman's Criminal Record"
1989: "Anderson, Bruford, Wakeman, Howe"
Once again, I lost track of Wakeman's career again, until 1998 and home access to Internet. 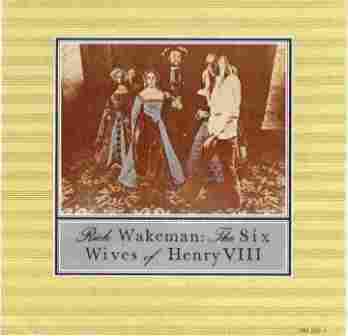 All through the trials and tribulations of the time, two albums accompanied me: Rick Wakeman's "The Six Wives of Henry VIII" and Yes' "Tales from a Topographic Ocean".